Lynx Rapid Plus Rhodamine antibody conjugation kit™ enables the ultra rapid conjugation of a pre-prepared lyophilized mixture containing Rhodamine label to an antibody or protein. Activation of proprietary reagents within the antibody-label solution results in the coupling of Rhodamine to the antibody. The LYNX Rapid Plus kit™ can be used to label small quantities of antibody/protein at near neutral pH, allowing a high conjugation efficiency with 100% antibody recovery. 10-50mM amine-free buffer (e.g HEPES, MES, MOPS and phosphate) pH range 6.5-8.5. Do not use buffers containing nucleophilic components e.g primary amines and thiols since they may react with LYNXTM chemicals, and Thiomersal should also be avoided. Azide (0.02-0.1%), BSA (0.1-0.5%), EDTA, Glycerol (up to 50%), and common non-buffering salts and sugars have little or no effect on conjugation efficiency. It is recommended that 10-20ug antibody be used in each labelling reaction. For optimal results the antibody should be at a concentration of 1mg/ml, with a maximum volume of 10ul and a recommended antibody amount of 10ug. A maximum of 20ug of antibody can be used to obtain good quality conjugates as long as the maximum conjugation volume of 10ul is not exceeded. Antibody below 1mg/ml can still be used as long as the maximum volume is not exceeded. Using less than the recommended amount of antibody may result in unbound label, but this will be removed during subsequent application wash steps. Antibody below 0.5mg/ml should be concentrated before use with the kit. It is recommended that 100-200ug antibody be used in each labelling reaction. For optimal results the antibody should be at a concentration of 1mg/ml, with a maximum volume of 100ul and a recommended antibody amount of 100ug. A maximum of 200ug of antibody can be used to obtain good quality conjugates as long as the maximum conjugation volume of 100ul is not exceeded. Antibody below 1mg/ml can still be used as long as the maximum volume is not exceeded.  Using less than the recommended amount of antibody may result in unbound label, but this will be removed during subsequent application wash steps. Antibody below 0.5mg/ml should be concentrated before use with the kit. Store kit at -20oC only. Newly-conjugated antibody can be stored at 4oC. For long term storage however, the addition of a preservative is recommended. Bio-Rad LYNXTM conjugation kits are offered for research purposes alone, and are not intended for human, therapeutic or diagnostic use. The purchase of this conjugation kit conveys to the buyer (whether the buyer is a not-for-profit, academic or for-profit entity) the non-transferable right to use the amount of product purchased and the components of the product for in-house research. The buyer shall not sell or otherwise transfer this product, its components, or materials prepared therefrom to any third party. The buyer shall not use this product or its components for commercial purposes. For the avoidance of doubt, ‘commercial purposes’ means any activity by a party for consideration and includes, without limitation, use of the product or its components (i) in the manufacturing of conjugated materials (e.g. labeled antibodies), (ii) to provide a service, information or data, (iii) for therapeutic, diagnostic or prophylactic purposes, or (iv) for repackaging/resale, whether or not such product or its components are resold for use in research. The use of this product by the buyer constitutes agreement with the terms of this limited use label license for LYNXTM products. We recommend that for each conjugation the user determines the best antibody:conjugate ratio. 1.To the antibody sample add 1ul of the Rapid Plus Modifier reagent for every 10ul of antibody and mix gently. 2.Pipette the mixed antibody-modifier sample directly onto the LYNXTM Rapid Plus lyophilized mix and gently pipette up and down twice to resuspend. 3.Replace cap onto vial and incubate in the dark at room temperature (20-25oC) for 15 minutes, or overnight if preferred. 4.After incubation, add 1ul of Rapid Plus Quencher reagent for every 10ul of antibody used, and mix gently. Leave to stand for 4 minutes before use.